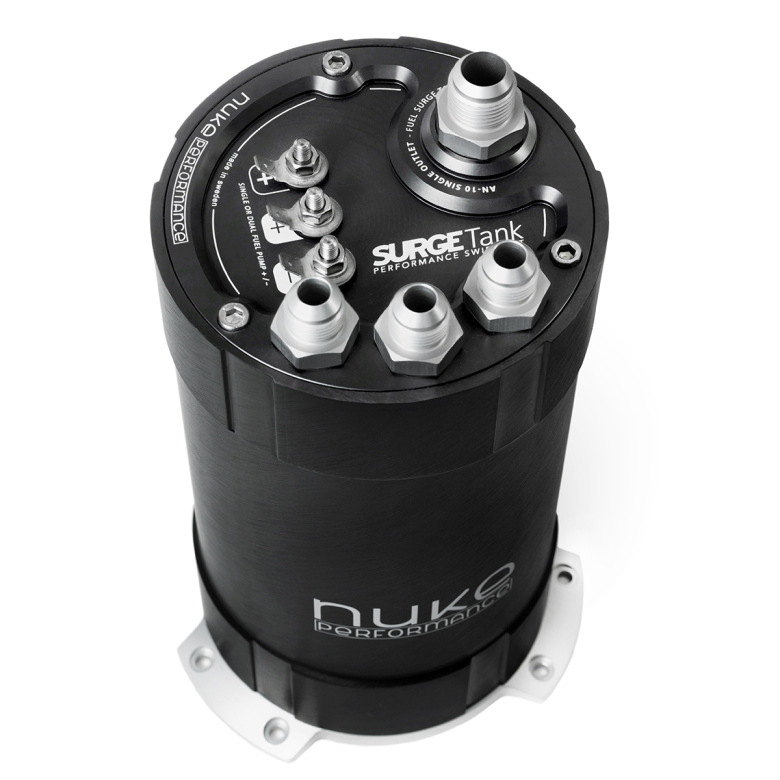 This new version is the first of its kind specially developed and designed to mount a single or dual setup of Deatschwerks ground-breaking DW400 fuel pump. 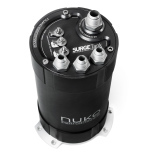 Combine the two internal fuel pumps into one 7/8 AN-10 outlet. 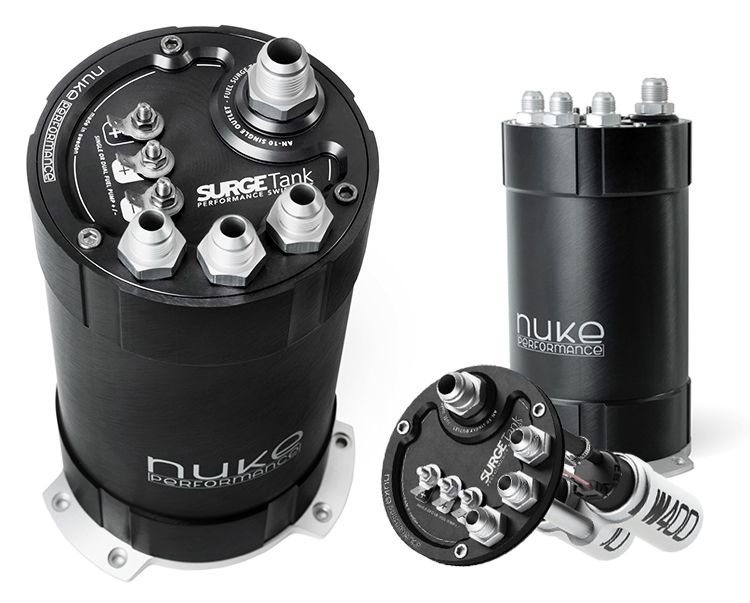 This Fuel Surge Tank is able to deliver steady fuel flow even over 1600hp. This Fuel Surge Tank is approved by Deatschwerks. Optional internal bracket for 39mm fuel pumps is optional, with this optional bracket you can run single or dual setup of any 39mm fuel pump such as DW300 and Walbro GST 450.